Your journeys away from home or the office don't mean you must leave your tablet or laptop at home. 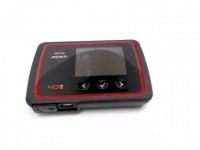 Bring along the exclusive Verizon Jetpack® 4G LTE Mobile Hotspot - MHS291L and connect up to 10 Wi-Fi enabled devices in 4G LTE coverage areas and up to five on 3G. That's enough to make your kids happy on their portable gaming system or your co-workers engaged with work on their tablets. This 4G LTE Mobile Hotspot is simple to use-no software or driver to install-and it easily fits into your purse, laptop bag or briefcase. 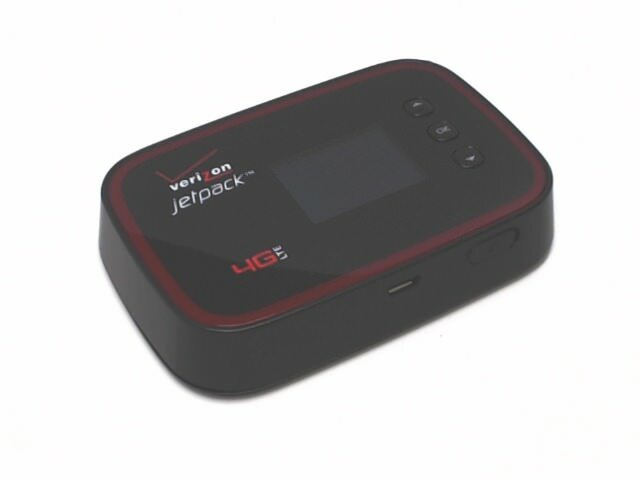 Just connect the Jetpack to the Verizon network, and you're ready to link your mobile devices. Enjoy the powerful battery of this Jetpack With a full charge, you'll get up to 15* hours of battery life, letting you experience the web, check emails, video chat and more longer than your average mobile hotspot. You also see at a glance how much data you are tallying, to help you manage your use. Great for your family Connect devices such as tablets, netbooks, cameras and MP3 players at the same time to Verizon 4G LTE. Use it in more than 205 countries, so head abroad for a week knowing you can stay connected with a global data plan. Built-in GPS support for location-based apps makes life easier. Dual-band support: Check email and browse the Internet using the 2.4 GHz band, and enjoy streaming HD movies and online gaming on the 5 GHz band. Conduct business where and when it happens Stay connected if work takes you overseas. This Jetpack supports a data connection in over 205 countries. Access the documents and emails you need over a dedicated, secured connection. Conduct videoconferences or stream HD video to multiple devices. Use with most popular web browsers.